President Obama is at the United Nations today hosting a Leaders' Summit on the global migrant crisis. 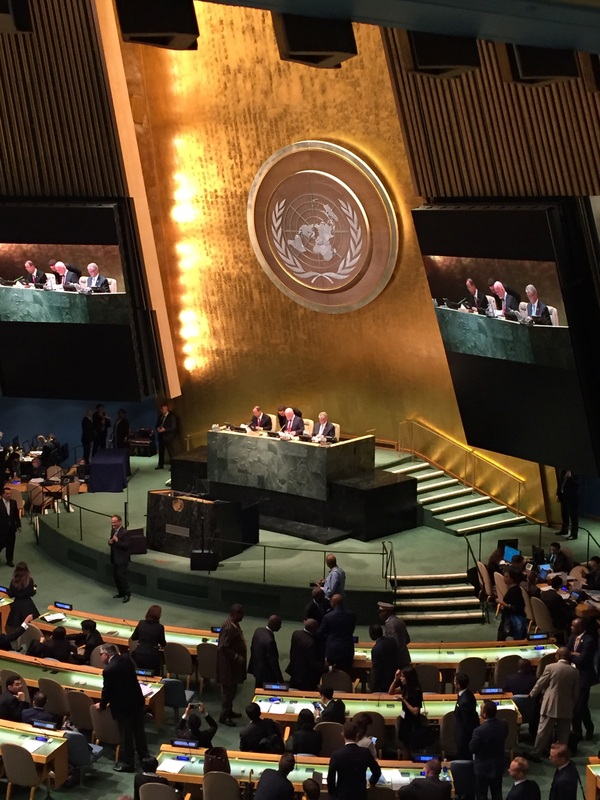 The president's forum comes a day after the United Nations' first ever summit on refugees. And many diplomats attending felt the international community has failed in its response to the Syrian Civil War and other crises. UN High Commissioner on Human Rights Zeid Ra'ad Al Hussein stressed the need for action. "This summit cannot be reduced to speeches, and feel-good interviews, a dash of self-congratulations and we move on" he said in an address to the General Assembly hall. In addition to calling for improved economic conditions and education for refugees, delegates and UN officials are asking countries to step up and share the responsibility to host refugees. The High Commissioner didn't name names, but he addressed those delegates directly. "You may soon walk away from this hall, but not from the broader judgment of we the people - all the world's people - not from us," he said. President Obama's summit today is expected to strengthen national commitments to funding and resettlement.